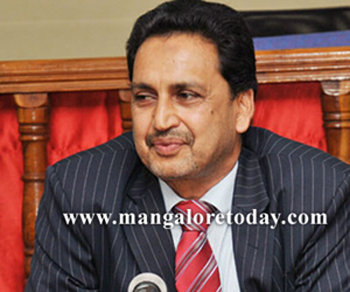 Mangaluru, May 25, 2015: DK DC Adoor B Ibrahim said that the World Bank has sanctioned Rs 35 crore to Dakshina Kannada district under National Cyclone Risk Mitigation Project. He informed that the district administration has proposed to set up cyclone shelters, construct bridges and roads, saline water embankment in four assembly segment in the coastline. The funds have been released to Udupi and Uttara Kannada districts as well. Apart from this, Rs 1.50 crore has been released during the year to take up work on strengthening of the offices and communication in coastal belt. Four fibreglass boats and emergency equipment to tackle flood has been proposed.